Training courses run from short one hour executive briefing sessions on the Imperatives of records management, through to extensive 5 day workshops covering all aspects of Advanced records management concepts. All our training programs are interactive and use practical training, theory, case studies, discussion groups, and hands-on exercises to impart the most knowledge which can be applied back in the office. All our records management workshops and training courses are based on international standards and best practices, and can be custom designed to suit a particular audience or organisation. Courses are run at leading conference facilities or on your premises if you have sufficient staff members to warrant an in-house course. We understand that in addition to the generic courses presented at public interventions, you may need customised training, specific to your needs. We will gladly tailor a course or workshop for you, meeting your participants job-specific objectives and outcomes. Therefore we also offer you our client, in-house training courses to ensure that all specific outcomes as identified by your training needs are achieved. Our courses are offered in all Provinces in South Africa, in addition to regional events. If you need a course to be run anywhere in sub-Saharan Africa, we will gladly facilitate this. Courses and workshops are all held at professional conference facilities to make your training experience the most enjoyable, and to facilitate the best training intervention. Courses and workshops on-demand. Tailored to your specific requirements. 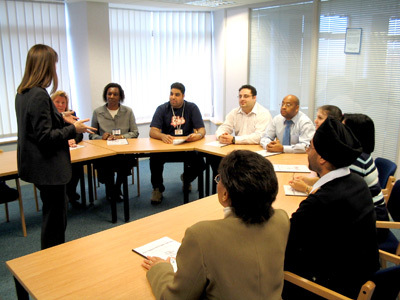 At COR Concepts we ensure that all delegates and business units who attend any of our training courses, are able to capture what they have learned and practically implement these steps within their workplace.